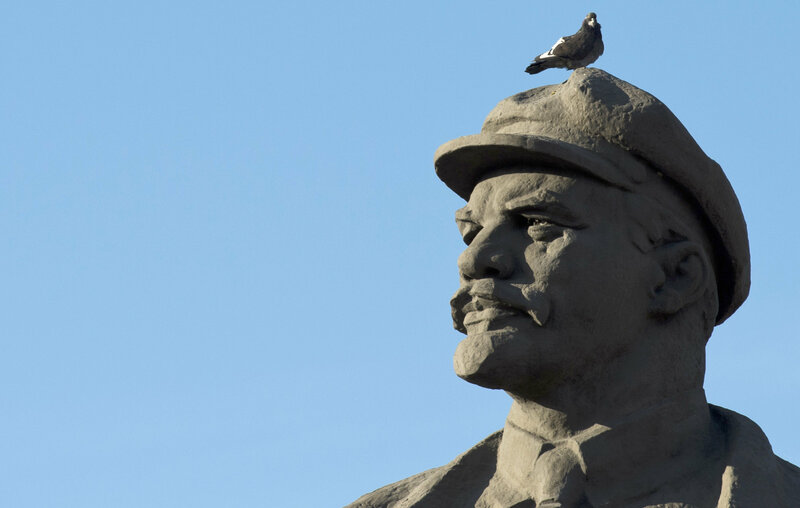 A hundred years after its publication, Vladimir Lenin’s work titled “Imperialism, the Highest Stage of Capitalism” has not lost its significance in Russia, says Pavel Rodkin, a member of the Zinoviev Club. Vladimir Lenin's work titled "Imperialism, the Highest Stage of Capitalism" was published in 1916. Post-Soviet Russia hastily declared Marxist-Leninist intellectual heritage as invalid, or at the very least obsolete,, but you can find new meaning in this, in my assessment, unfairly forgotten work some 100 years after its publication. Though Lenin was a highly meticulous researcher, the rich statistical data and factual information provided in this pamphlet have become obsolete, just as his fierce polemics with Karl Kautsky. But the conclusions Lenin makes have not lost their political significance. In fact, "Imperialism" is one of the main works vital for understanding such notions as globalization, transnational corporations (though Lenin did not work with these terms) and modern imperialism. The development of monopolies, which stifled free competition, was the logical result of the development of capitalism and one of its fundamental inner contradictions. The attractive form of "free competition" that developed in the lifetime of Karl Marx and was considered a "natural law" was sharply criticized by Lenin in the early 20th century. In an era of consumption, monopolism is effectively protected by brands, the diversity and quantity of which created a semblance of competition. However, these brands are owned by a limited group of right holders whose potential rivals and the rights to their new promising products are bought up at the startup stage. Here is what Lenin wrote on this: "Competition becomes transformed into monopoly. The result is immense progress in the socialization of production. In particular, the process of technical invention and improvement becomes socialized. (…) The social means of production remain the private property of a few." (Hereinafter quoted from V.I. Lenin, Imperialism, the Highest Stage of Capitalism, Resistance Books, Sydney 1999, pp. 40-41). Capitalist monopolies are not a specific element of different versions of capitalism, for monopolism is a global phenomenon. At the same time, it precludes a return to "free," "peaceful" and "honest" competition, as Lenin wrote. The turning point in the development of monopolism was the new role of banks and their transformation from their role as a modest intermediary of companies' financial operations into omnipotent monopolists. There is nothing new in the absorption of industrial capital by finance capital, which has recently entered its final stage and has applied the brakes on social development and technological progress, a phenomenon that was predicted and very clearly laid out by Lenin. Financial oligarchy, which was born out of the concentration of production and capital, advanced capitalism to a higher level of socioeconomic development. "The characteristic feature of imperialism is not industrial but finance capital," Lenin wrote (p. 93). The world has long exceeded the limits of traditional capitalism but continues to effectively exploit its positive values. The negative elements of global capitalism are its inherent features, and raging over them amounts to failing to understand what real capitalism is. As Lenin wrote in his pamphlet, "As long as capitalism remains what it is, surplus capital will be utilized not for the purpose of raising the standard of living of the masses in a given country, for this would mean a decline in profits for the capitalists, but for the purpose of increasing profits by exporting capital abroad to the backward countries." (pp. 70-71). The disparity in the development of countries creates conditions for the growth of imperialism in the more advanced ones. The monopoly alliances of capitalists, such as cartels, syndicates and trusts, have led to the division of domestic markets and their advance to the global market, taking the form of global (multinational) corporations and leading us to wars, as Lenin writes. Finance capital has become a decisive force in international relations, setting the rules and legal norms that suit it best. Lenin predicted this, too: "The epoch of the latest stage of capitalism shows us that certain relations between capitalist associations grow up, based on the economic division of the world, while parallel to and in connection with it, certain relations grow up between political alliances, between states, on the basis of the territorial division of the world, of the struggle for colonies, of the ‘struggle for spheres of influence'." (p. 81). Economic monopolism cannot exist outside the framework of political and geopolitical monopolism, which is rooted in the policy of colonialism and which has grown into the ideology of global US hegemony. But the division of the world is not yet complete, and it cannot be complete outside the framework of internal capitalist struggle. Attempts to settle this issue resulted in two world wars in the 20th century. Is the concept of "sovereign" capitalism viable? Lenin's views on the nature and internal logic of capitalist development have not lost their meaning. However, Russian society preferred not to hear the warnings made a hundred years ago as capitalism was too tempting for the elite of the late Soviet period. The capitalist temptation was presented in an attractive and finished form: imperialism disguised as global finance capitalism results in the emergence of parasitism in the form of rentier (or usurer) states. The creation of a parasitic state, a state that would sit back and collect its energy rents, was the main objective of the post-Soviet states, which emulated the Western rentier states. The main inner contradiction of post-Soviet Russia is that the Russian oligarchic propertied class inevitably joins the imperialist camp, as Lenin wrote, and can only reproduce itself as such. But parasitism and dependence on global capitalism make peripheral imperialism extremely vulnerable to usurer states (Russia has always been a peripheral region of Western capitalism. Like all monopolies imperialism engenders a tendency toward stagnation and decay, which Lenin used to formulate his thesis of the decay of capitalism. This tendency can be exemplified by the "energy superpower" concept of the bountiful 1990s. The Russian political class continues to entertain the illusion that by resuming the path of Western-type social evolution (capitalism) it would be able to compete with the Western finance capital on equal terms. Russian capitalism has failed to understand the monopoly nature of global capitalism, about which Lenin wrote. "Sovereign" capitalism, which many perceive in pre-revolutionary Russia, is impossible in the current conditions. In fact, tsarist Russia became a bankrupt state for this very reason.